A tiny slice of heaven just for you! 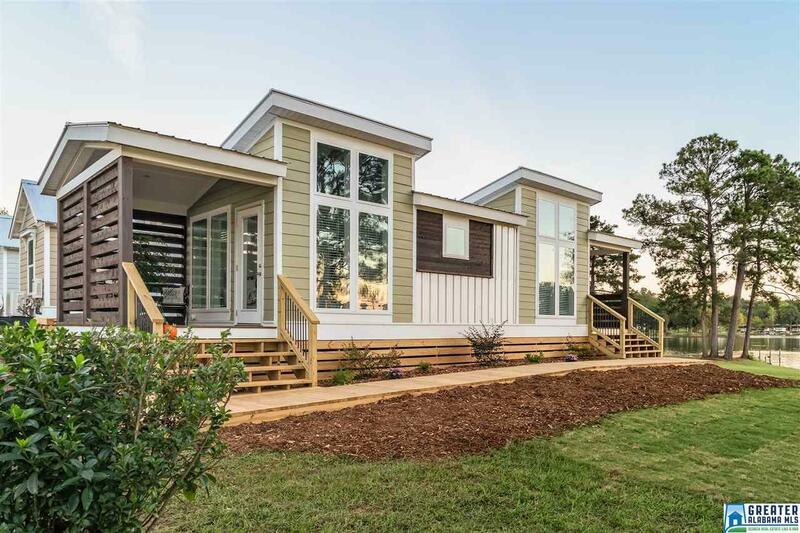 This tiny home is beautiful and comes equipped with everything you could possibly need to live comfortably. Inside you will find a master bedroom, full bath, laundry area, living room and kitchen. This home spares no expense from stainless steel appliances to the electric fireplace...and that&apos;s just the inside! Outside you will enjoy a covered waterfront porch, sidewalks, off road parking, gated entrance, private deck and much more. Please note that the sell of this property includes the home only, but the lot can be leased. Driving Directions: Head East On Hwy 78 Turn Left Onto Us Hwy. 431. Turn Right To Merge Onto I-20 W Toward B&apos;ham. Take Exit 165 Toward Embry, Lincoln. Turn Left Onto Honda Dr. Turn Right Onto England Rd. Turn Left Onto Truss Ferry Rd. Continue Onto River Bay Dr.